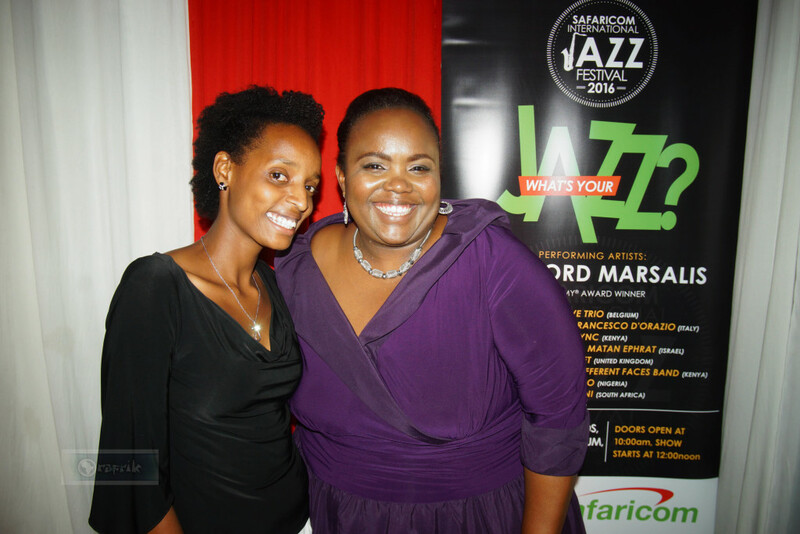 This was the precursor to the most anticipated jazz music event of the year, the Safaricom International Jazz festival. 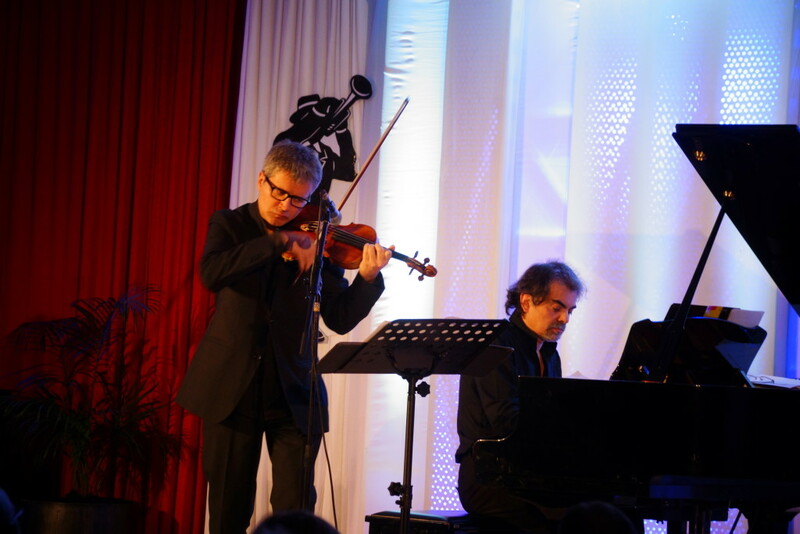 Slated to take the stage were the Italian duo, Giampaolo Nuti, and Francesco D’Orazio. The Italian institute made sure they gave us a feel of how the Italians enjoy their music. Mama Mia! On entry to the Micheal Joseph center, I was met by the wide array of wine choices that were being served. And of course, it been an Italian event, there were creatively displayed servings of Spaghetti on the tables for guests to enjoy as they were serenaded and downed the sweet red wines. Unfortunately, I arrived late and found the duo had already started the show. 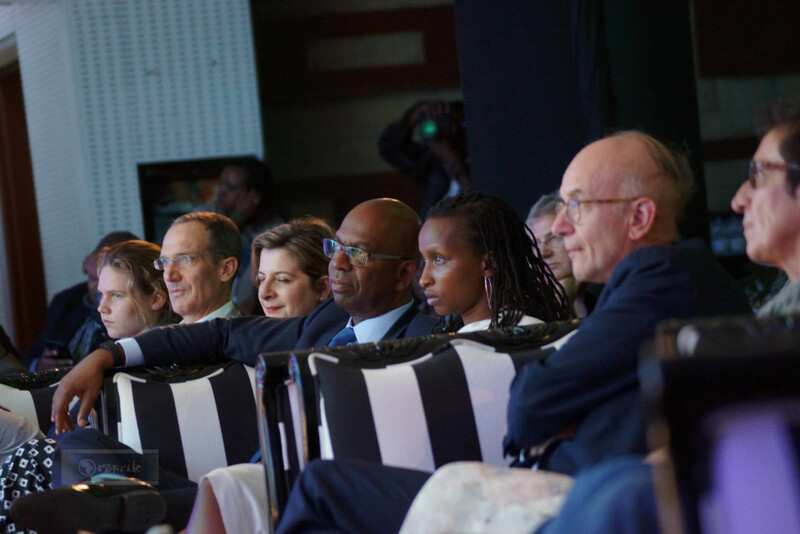 In attendance were: Italian ambassador Mauro Massoni, Cultural Attaché – Embassy of Italy Director – Italian Cultural Institute Francesca Chiesa and Department of Culture visual head Elizabeth Nasubo among others. 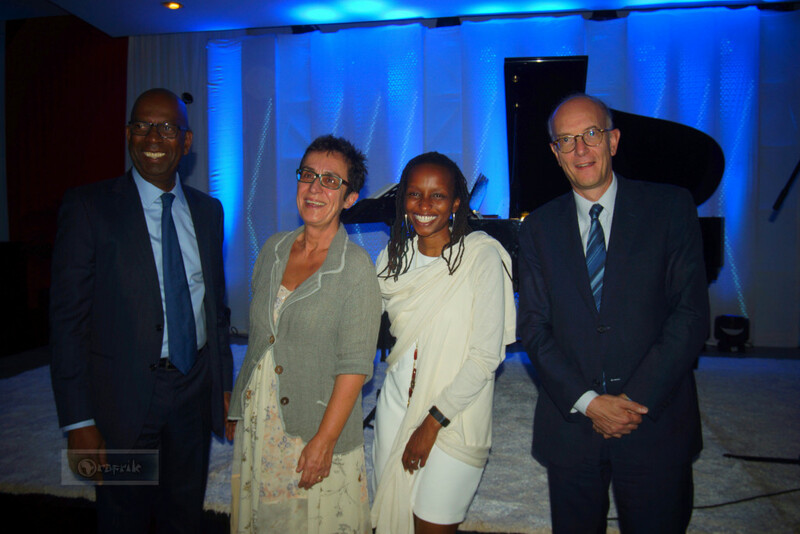 Jazz lovers were treated to a classical realm, embellished with creative hints of Jazz improvisations on some renowned classical tunes. Giampaolo Nuti held nothing back as he kept the audience enchanted, how he swiftly and creatively hits the notes at the right time beat. You could truly enjoy his performance if you were close to the stage, or in view of how he made his fingers move with such agility, that you couldn’t help but be mesmerized by his remarkable talent as you enjoyed the music. 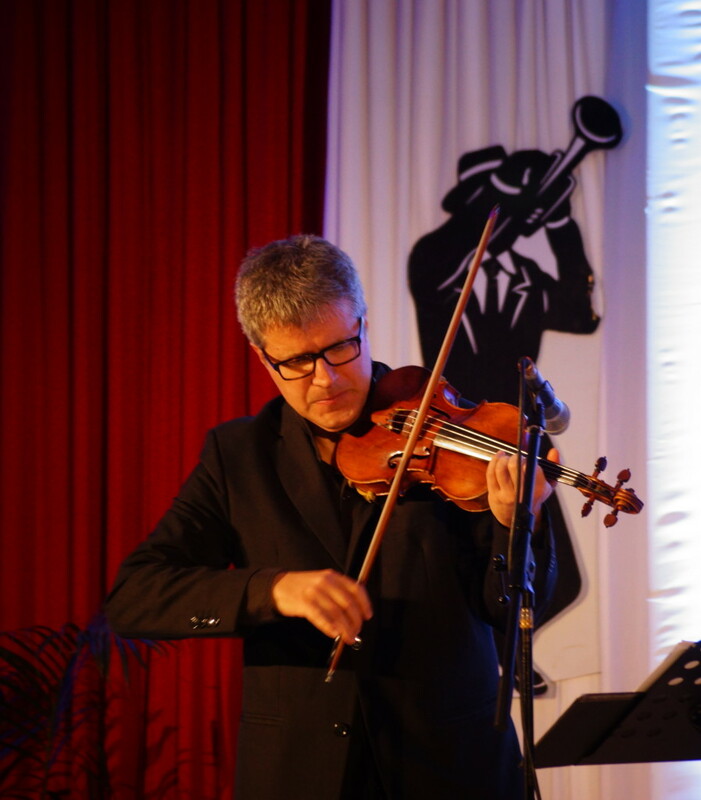 His partner in crime, D’Orazio complimented him on the violin. Giampaolo Nuti and Francesco D’Orazio literally gave themselves to the rendition: the music selection for the night was a whirlwind of unison notes of unvarying and unremitting tempo and dynamics (sound), an elusive, enigmatic stream of musical consciousness. I would think they chose such pieces for the night, as they excellently conveyed their emotions to the audience. 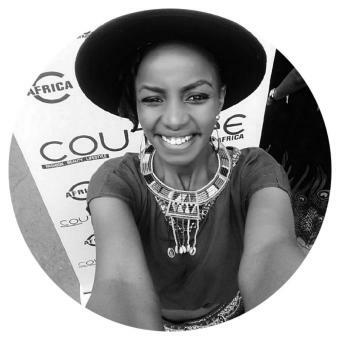 Few Kenyans are drawn to classical music, however, the duo gave a captivating performance that had the audience engaged and amused. They threw in a couple of renowned pieces such as Take 5, hits from Charlie Parker, John Coltrane and ended the show with their own variation of summer time, this made for a thoroughly engaging concert experience. 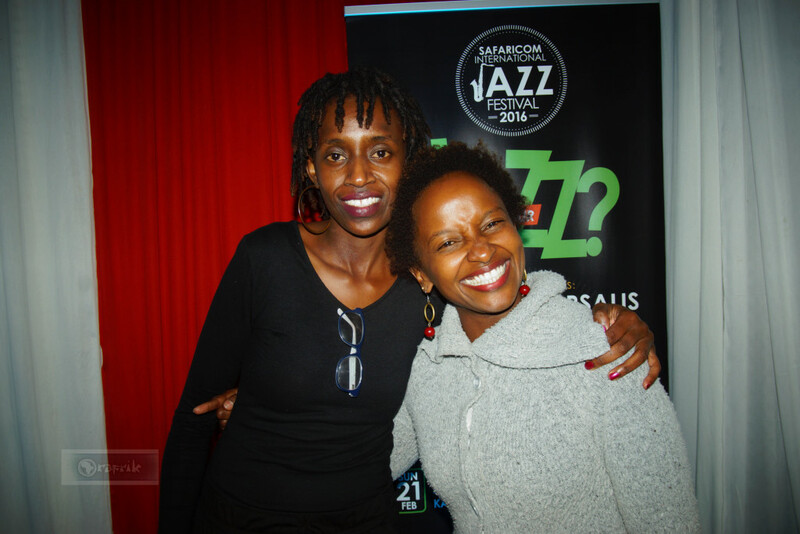 Nairobi orchestra Violinist Bernadette shares a smile with Jazz Vocalist Kavutha Asiyo. Audience who were moved by the performance.